We are updating our program to enhance Designation courses, and to add currency to our Transportation and Trade components. Students will benefit from greater career prospects with more dynamic learning from these changes and additions. Please contact Jackie Li, Program Head, if there are any program related questions. International Business Management students undertake a 10 week Business Consulting Project in their final term. Students work in groups of 2-3 and spend three days a week developing a solution to a real business problem for a company. The student teams collect and analyze data, create recommendations, and present their findings to company management. Graduates of the International Business Management diploma program have strong international business and logistics skills that will lead to a wide variety of local and international job opportunities. 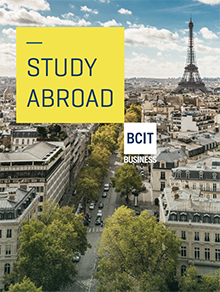 BCIT offers a number of international exchange opportunities that helps students gain a global perspective of the economy, culture, government, and everyday life of the country they study in. Learn more about international exchange opportunities and international double degrees with internships. Check for current International Business Management program availability. Once accepted, your seat in the program will be reserved. Please see our contact us page or review the BCIT Admisssions FAQ page if you can't find the information you are looking for. Strong mathematic skills are required for success in BCIT Business diplomas. Students accepted into this program will be contacted starting in April regarding the completion of a math assessment test. If you score below a 67% on this assessment test, or feel that you would like to upgrade your math skills regardless, you should complete OPMT 0199 or OPMT 0023. Competitive entry: if the number of applications exceeds available seats, BCIT will accept those deemed to have the best opportunity for success. Re-admission: Have you completed part of this program at BCIT and want to apply to an advanced level? Submit the Course-by-Course Self-Assessment form [PDF] with your application. Direct Entry: Are you new to this program but have completed an equivalent part of it at BCIT or elsewhere and want to apply to an advanced level? There are four options for direct entry. Applicants to options 1-3, submit an online application. Option 4 applicants, submit your application for transfer directly to BCIT Admissions. View the Direct Entry sheet [PDF] for details. You may qualify for advanced placement based on an assessment by the BCIT SITE Centre’s Advanced Placement and Prior Learning (APPL) program. Visit Advanced Placement to learn more. Make an appointment with the program heads to review your eligibility to transfer. If you are transferring to Level 3, you may be required to complete one or more bridging courses. Submit an approved School of Business Program Change form and $16 program change fee to BCIT Admissions. Do not apply online. Transfer credit may be granted for courses completed at BCIT or another post-secondary institution where the learning outcomes duplicate those of the BCIT course. As per Admission Procedure 5003-PR1, the department reserves the right to determine the granting of credit where appropriate. Applications will be accepted up to day 14 of the term; an official transcript and a course outline where appropriate must be provided (or be on file with BCIT) to process the request. A maximum of two courses per level are eligible for credit through this process. The two-year International Business Management program has a common first year and two streams in the second year. To learn what specific skills you will learn on a course-by-course basis, see the list of INTT courses below. In addition to the specific knowledge taught about international trade and transportation, students will learn project management, computing and business communication skills. Major projects challenge students to develop their time management skills. Business graduates are known for their efficiency. Employers today are looking for people who work in teams just as well as they work individually. To meet this demand, the International Business Management program provides many opportunities for teamwork - far more than you'll find in a traditional university. At the beginning of the program you will be assigned to a team of four to six students. During the first year, your team will work on projects together. In the second year, students are able to choose who they work with. Students will complete a comprehensive country report that analyzes the conditions for business in a chosen nation. This project gives students an understanding of areas to focus on when entering an international market. Transportation Systems Project (Year 1, Level 2) For his CITT course project, students find a company in the transportation industry to analyze. The company must provide one of the five modes of transport: Road, Rail, Water, Air, or Pipeline. It is the first opportunity to interact off-campus with an industry client. Students are given the opportunity to pick their team of two or three. Each team is given a faculty advisor from the International Business Management program. Skills are generated in this project to get students ready for the 4th level Industry Project. The final project students complete is the Industry Project. It is a practicum-like learning experience with an outside firm. Students will work at the company during fourth term, where they will be given the opportunity to solve real-world problems. COMM 1100 is designed to give students basic listening, writing and speaking skills that will allow them to prepare written and oral reports for BCIT courses and to proceed to more advanced communication courses. Operations management may be defined as the design, operation and improvement of the systems that create the firm's products or services. Demand for quality, time-based competition and international production has demonstrated the importance of operations management to the survival of the firm. This course will develop an appreciation for the nature and role of operations in a firm, and the strategic importance of operations to provide a competitive advantage in the marketplace. More specifically, the course will examine operations strategy; quality management; product and service design; process and facilities planning, analysis and reengineering; human resources in operations management; materials management, lean and Theory of Constraints strategies, and supply chain management. * Note: During the first week of OPMT 1110 Business Mathematics, an assessment test will be administered to all students. Based on the outcome, students may be required to attend a weekly Business Math Success Workshop. Introduces the fundamentals of project management. Includes the unique characteristics of projects and fundamentals of project planning using techniques such as WBS, Gantt charts, CPM, dealing with people and team issues, maintenance and control of projects using check points and milestones, communication, and common sources of difficulty in project management. Formerly Distribution 1. This course provides an overview of Canadian transportation modes (water, rail, road, air and pipelines), intermediate transportation agencies (including small transport and transportation brokering), domestic and international intermodal movements and warehousing and materials handling (including the use of unitization devices). Course fee includes the CITT exam. This course is designed to introduce the student to the sales process using a needs based approach. The course will cover the mechanics of selling as well as provide information about the sales profession, sales theories and concepts and selling skills in order to build an understanding of the subject area and competence in buyer/seller communication and interpersonal skills. The focus will also be on international selling situations so the student can understand the selling process as it applies to different cultures. The student will participate in individual and team based role-plays and class discussions, to better understand the role of the professional sales person in a firm. This course provides an understanding of the major economic issues involved in the provision of transportation services. The course will analyse the factors which determine the supply and demand for these services. Both practical and theoretical aspects of transportation economics, including both the domestic and international scenes, will be undertaken. Emphasis will be placed on applying these economic concepts to transportation problems. Business Logistics is a set of activities involved in the flow of materials and products through an organization to the market, and is therefore vital to the economy and to the individual firm. Logistics 1 presents an overview of the total supply chain management concept. The course examines the integrated logistics management concept, the role of logistics in a market-oriented society, the use of distribution channels respective of a firm's customer service objectives, purchasing within the materials management functions, the financial impact of inventory and the importance of order processing and information systems on logistical performance. Prepares students for their fourth term projects (TDMT 4411). Students are required to conduct a management level project, on campus, within BCIT. Students are required to demonstrate learned skills within set terms of reference that are mutually developed between the students and BCIT staff. Prerequisites: Successful completion of all Level 1 and 2 courses. A practical study of Canadian business law. Topics include: the Canadian legal system, dispute resolution, torts including product liability, contracts, sale of goods, agency, employment, business structures, personal and intellectual property, E-commerce and international trade. A practical study of International business law. Topics include: International organizations and law, the WTO and NAFTA, import/export rules, international sale of goods, product liability, financing, transportation and insurance, international aspects of intellectual property, market entry strategies, international dispute settlement. Introduces the student to the international Harmonized System of classification of commercial goods. Develop students’ ability to complete all types of documentation required for importations and exportations. Familiarize students with the North American Free Trade Agreement (NAFTA) regulations and Rules of Origin and all current trade agreements coming into effect. This course examines the relationship between the natural environment and externalities, trade compliance, customer drivers, and sustainability both environmentally and as a company. Develops an understanding of how regulatory constraints and changes within the natural environment will affect the supply chain and the risks associated with business practices. Examines customer, government and market forces which effect regulations and purchasing decisions. This course will examine proactive methods of handling each driver and sustainable frameworks to build a sustainable company within a sustainable industry. In this course students will gain an understanding of the relationship between cross-border flow of products, services, capital, ideas and people. International Management looks at global sourcing, the impact of technological advances on globalization, globalization of finance, and the success of the smaller firm in international markets. The course will also examine multinational enterprises, small and medium sized enterprises and global enterprises. The course will examine the changing nature of the international management landscape. International Management will examine corporate social responsibility and sustainability on a global level. The course will also explore the inter-disciplinary aspects of organizing, sourcing, manufacturing, marketing and other value-added activities on an international scale. To apply principles of market research, international business, transportation and distribution systems, economics, problem solving, inventory control, financial/cost accounting, and all other topic areas studied at BCIT to a project within an operating business or agency. Prerequisites: Successful completion of Levels 1, 2 and 3, but may be short one course except TDMT 3402. This course provides students with an introduction to how organizations involved in international business operate and negotiate in foreign environments. Specific focus will be placed on the impact of international context, cultural background of the parties involved and the individual negotiating/business styles of representatives of different countries and types of organizations. Case studies highlight the effective use of cross cultural management tools in a variety of international business situations. The International Business Management program is directly connected with the business world through faculty, community events, projects, and our graduates. We also have an advisory committee of 15 industry professionals on our Advisory Committee. Included on the Committee are the CEO of the 2010 Legacies, the Senior Logistics Manager of HBC, the President of Coast 2000 Terminals, and the President of Westward Shipping. This talent pool of expertise keeps the program curriculum current and applicable as well as providing students with a network of contacts. We produce top-level, employable students who continually strive to reach new levels of personal and organizational performance. Graduates gain the key skills, attributes, and characteristics that employers want in their employees. Connecting students with jobs is one of the program's advantages. The International Business Management program attracts many companies in the industry, in BCIT makes use of a hybrid style of learning, combining university and classroom approaches. Almost every class you take will have both lectures and labs. Lectures are treated similarly to universities with generally 40 to 150 students in an auditorium or large classroom. Lab sessions expand on lecture topics, but in a smaller group setting, which allows more interaction. This group is called your set. The set system makes BCIT unique. On the first day of school, you will be grouped with 20 to 25 other students, who will make up your set group for the year. Students of a set attend all classes together and form teams for group projects. Lectures are simultaneously given to several sets, while labs include only the students in your set. This arrangement permits plenty of personal attention from instructors. You will be able to further build your network by getting to know your classmates in this more personal setting. This enables students to enhance their communication skills, which is crucial to conducting international business. BCIT keeps things simple for you. We schedule your timetables, which allows you to take more classes in less time than other institutions, getting you to out into the field in just two years. You will also notice how content from each course links with other courses thanks to our finely-tuned curriculum, which simultaneously teaches the related subjects in different courses. As you progress through the program, course content gets more specialized toward international trade and transportation. This complete business education is unique to BCIT. The International Business Management program typically attracts students of various ages and cultures. An informal part of your education will be your day-to-day interaction with people from diverse backgrounds, which helps prepare you for a career in international business. A number of industry certifications are available upon completion of the program. These include Canadian Institute of Traffic and Transport (CITT) and Chartered Institute of Logistics and Transport - North America (CILTNA). In addition, other industry associations give credit for various subjects which allow for the achievement of additional professional designations shortly after receiving the International Business Management diploma. Graduates of this program may continue their studies to complete the BCIT Bachelor of Business Administration (BBA) program. The BBA program provides you with the flexibility to complete your degree full-time within 8 to 12 months (depending on previous transfer credits from other institutes), or you can choose to begin your career and finish your degree courses part-time, usually within 2 to 3 years. The market for graduates from the program is growing all the time. Over the past 10 years, Canada's exports have grown by 58%, our imports by 63%. As they have grown, so has the demand for competent employees that are skilled in the activities associated with this new breed of global company. In British Columbia alone, there are over 2,800 companies that export their commodities around the globe. Learn more about Careers in the Supply Chain. With the growth in imports and exports has come an increased demand for supporting infrastructures. 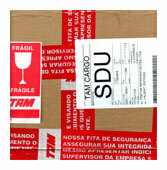 Support services including transportation, logistics and customs brokerage have grown at an astounding rate. New ports and port expansions offer grads a host of opportunities today, tomorrow and for years to come. How many other programs boast up to seven accreditations available upon graduation? BCIT's diplomas are highly respected by employers, giving you a major advantage in getting your career in international trade and transportation moving. Graduates of the INTT program simultaneously and automatically earn credit towards the CITT (CCLP) designation, indicating they are logistics professionals. To create your personalized education pathway complete the following Advanced Placement and Prior Learning (APPL) assessment application process. Step 2: Apply for an Assessment. Please note: Application will not be processed until the assessment fee has been received. Application processing time is four to six weeks. By taking bridging courses in August, we can fast track you into the final year of the program. The full-time Business Operations Management program starts in September. Call 604-456-8018 or email appl@bcit.ca for more information. Space is limited. A BCIT Business Consulting Project provides second year International Business Management students the opportunity to work over a 10 week period with an organization to solve an international business problem or challenge. Students work in a team of two or three to identify potential opportunities, conduct research, and recommend effective solutions. Students complete a comprehensive written report and present an oral presentation to the sponsoring organization outlining the student team’s recommendations and solutions. Business Consulting Projects are different from traditional co-op and internship programs. Students are not assigned to actual positions, but rather fill a consulting role for businesses and organizations. Each project has a BCIT faculty member that serves as an advisor for the student consulting team. Exit surveys from participating companies show that the completed strategic business solutions have a value that far surpassed their expectations. Instructors of the International Business Management program have extensive industry experience. Many of them remain active in the industry by working as consultants. Additionally, most program instructors are members of professional institutes and organizations that relate to the areas of study. These memberships allow instructors to remain current on new industry standards and offer fresh insight to students on recent developments. Connecting students with jobs is one of the program's advantages. The International Business Management program attracts many companies in the industry, including several with personal connections to instructors. Our graduates are highly sought-after, and regularly recruited. Jack Heu, Operation Manager, Strategic Development - FLS Transportation Services Inc.